History says that Jakyakdo was never really part of the Incheon territory until the year 1963. The island was originally part of Bucheon-gun of the Gyeonggi Province and was only incorporated into Incheon later on. The island was originally called the Mulchi Island as it was famous for standing against the strong tides of the Ganghwa Strait. It was only during the Japanese colonial rule that a wealthy Japanese man bought the island and named it Jakyakdo, which means ‘peony bud’, because of its resemblance to the flowering plant. Despite it being a tiny island, Incheon has never neglected development in Jakyakdo. In fact, a circular concrete walkway was built to surround the island. Today, several charming Korean restaurants dot the walkway making dining always a unique and enticing experience. When dining in any of these restaurants, make sure to ask for “hamultang”, which is a spicy seafood stew that will be cooked right in front of you. If you have a hard time choosing what to eat, just point out what looks interesting at other people’s tables. For those who want to stay in the island a little bit longer, seasonal rooms can be rented out. The only way for tourists to get to an island is to a catch ferry from the Youanan Budu ferry wharf. Ferries to and from the island run quite often and getting to and from the city does not take too long because of its short distance from the mainland. A tour to Jakyakdo usually involves going to other nearby Incheon islands and usually starts off by going to Wolmido to Yeongjongdo and then finally to Jakyakdo. These three islands are relatively close to each other, making hopping from one island to another easy and convenient. 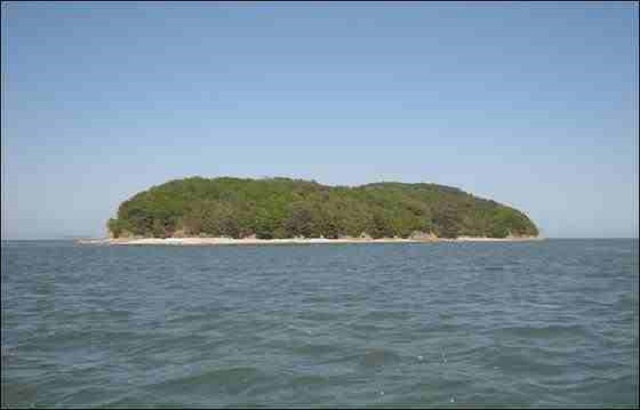 The Yeongjongdo Island used to be called the Jayeondo Island due to the many swallows on the island. This island is especially famous for the Yonggungsa temple found on Mount Bakeunsan. Aside from the temple, Yeongjongdo makes a great spot to see the Incheon International Airport from afar with some exciting sports activities to do in the area. The Wolmido Island, on the other hand, got its name from its resemblance to the tail of a half moon. Wolmido is more developed than the two other islands, with many seafood restaurants and cafes lined along the coast. Wolmido is also home to a theme park named “Play Hill”. Compared to Jakyakdo, both of these islands are connected to the mainland via bridge or highway, making access to these islands easier. Aside from touring around the city of Incheon, visiting some of the offshore islands of the city will be a pleasant experience. Make sure to include Jakyakdo in your itinerary to get to walk around the island and have an amazing seafood meal.